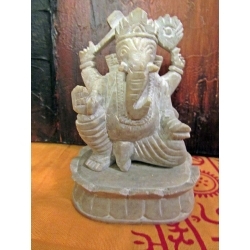 Aarati is a daily worship service performed to the Supreme Deity in the form of the Deity personified or to a statue, a picture, or other symbol of God. In this prayer ceremony, offerings are made of fire, incense, ghee (clarified butter), camphor, flowers, rice, sandal paste (chandan), vermillion paste (kumkum), water, etc. In the temple worship, offerings to the statue, assumed to be a living presence of the Deity, are also made of a seat, ceremonial bath, clothing and food. Fire plays a central role, symbolically removing the darkness of ignorance existing between God and self. 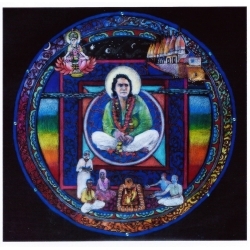 Shri Shri 1008 Shri Bhagwan Herakhan Wale Baba, known as "Babaji" to his devotees, is the Divine Light who is worshipped. The prayers appeal to His grace for fulfilment of all desires and to dispel the darkness of ignorance of the Self. He is recognised as the Supreme Reality personified: Brahma, Vishnu and Maheshwara together, who performs the three functions of creation, maintenance and destruction of the universe. All their abilities and powers are united in Him, the Master, Lord, Creator, Protector of the universe, the Supreme Deity, Samba Sada Shiva, who has taken on human form for the salvation of the world. It is He who encompasses the entire universe, who is the Absolute Being permeating all things and creatures, who resides in the centre of the heart, shining like a bright, pure crystal, who is eternally omniscient, conscious and blissful, radiating joy, an ocean of grace. It is this Ultimate Divinity to whom the Aarati is offered and in whom the worshiper seeks refuge. "Arati" literally translated means dispeller of darkness. By singing the songs of the Aarati devotional service, we are shedding light upon our darkness. In Sanskrit, darkness is the same word as ignorance. 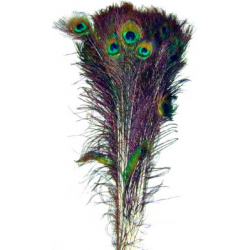 The Haidakhan Aarati was cognised by the great saint, Shri Mahendra Maharaj. 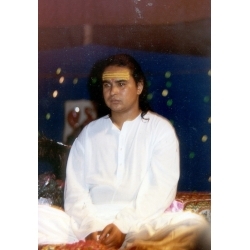 Mahendra dedicated his entire life to preparing the way for the reappearance of Shri Haidakhan Babaji. He travelled all over India for decades, teaching people the devotional service and establishing ashrams and temples dedicated to Babaji. 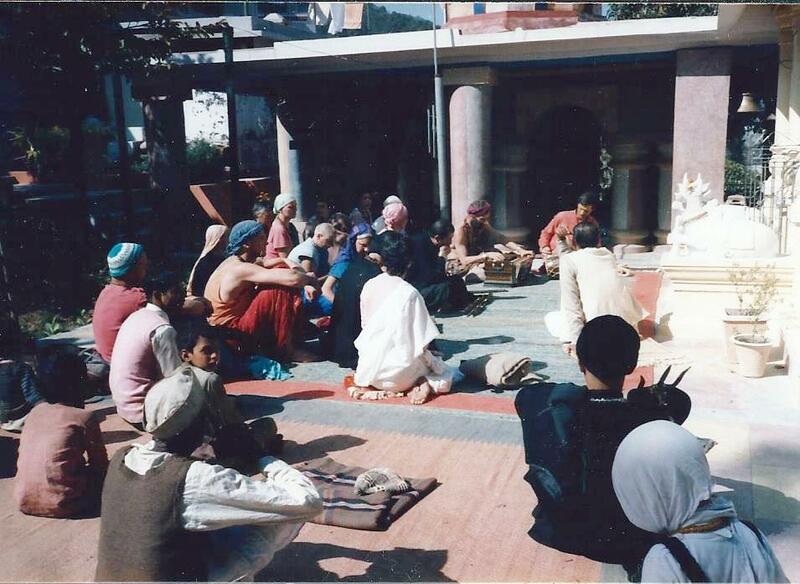 He unceasingly prayed to Babaji, begging him to return to the earth in physical form for the upliftment of humanity. 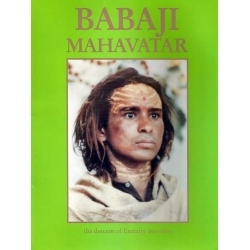 Amazingly, in 1969 Babaji appeared to Mahendra and promised him he would take form, even showing him what the form would be. This word from Babaji satisfied Mahendra, and he died shortly thereafter, not even sticking around to experience the physical presence of Shri Babaji, thereby enjoying the fruits of his labours. He had performed this service for the benefit of others, not for himself. 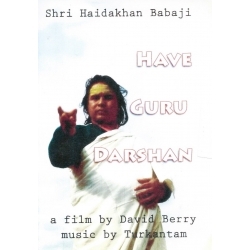 Babaji did as promised and made Himself known about a year later, in 1970. Shri Shastriji, when asked when Babaji will return again, has often said, When one of us has the devotion, dedication and commitment of Mahendra Maharaj. Is there such a person among us? In Sanskrit, the vibration of each word matches its meaning. The words of the Aarati are a specific formula. 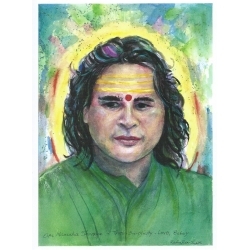 The vibration of the Aarati transforms our own vibration to a level that is "in synch" with Babaji and brings Him to us. Our vibration gets closer to His and this makes it easier for Him to be with us. Those who want to experience more of Babaji's guidance and healing vibration have a formula to do that: the Aarati. 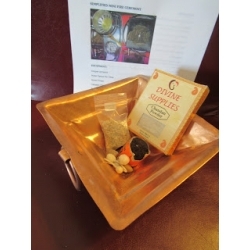 Even hearing the Aarati on tape, before memorizing it, will raise a person's vibration and be a great comfort. Once a person learns and memorizes the Aarati, to the point where the mouth keeps singing the next verse without even thinking about it, there is a wealth of information and problem-solving which happens during the Aarati, similar to what is experienced in the deepest of meditation. Divine Inspiration takes place, pictures come to mind about what the next step is for a project, and solutions to seemingly insurmountable problems appear. It is magical. The connection from the Superconscious (God Self, Inner Voice) to the Conscious Mind is opened and ready for action. Aarati is like entering the "Silence" that all religions mention, where God gets to talk to you instead of only a one-way communication. Aarati is sung in each of Babaji's temples throughout the world in the morning and evening, just after sunrise and sunset. 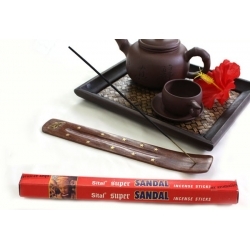 It is the perfect way to remove the veil of sleep in the morning and to lay to rest all the activities of the day in the evening. In spiritual community at an ashram, it is the 'glue' which holds the diverse group together. This makes it possible to work together even though there are bound to be personality differences. To know yourself better, to clear the way for Divine Communication, to experience the healing of Shri Babaji's Presence, turn to Aarati, the dispeller of darkness.